Last week I attended the inaugural WordCamp US, where I spoke as well as attended the Community Summit. The Community Summit “is a smaller, work-focused event. Community leaders gather to discuss and work on issues that the WordPress community faces.” It was a great time, and between that, the actual WordCamp, and Contributor Day, I got to spend a lot of time with folks in the community from all over the world! Here are some of my take aways. WCUS confirmed for me something I kind of already know from other WordCamps: the WordPress Community is a distributed close-knit one. Arriving in Philly on Tuesday and attending the summit on Wednesday felt like a family reunion. There were lots of people I was excited to see that I hadn’t for 6-12 months or even more. Further, there were people I have only met/talked to online that I got to meet in the real world. Working with those folks at the summit specifically felt really special – we all came together in one place to discuss important issues surrounding the WordPress community. It was like we work together in an office together every day, developing a rapport where we were candid but respectful. That close-knit feeling continued through the weekend at the actual conference. As excited as I was to see some really great sessions (and give my own talk), I was even more excited to spend time someplace else. The Hallway Track is when conference attendees congregate in the hallway to network, catch up, and discuss. I got to catch up with a lot of people, spend some quality time with coworkers that I don’t get to see in real life every day, and float some ideas by people whose opinions I value. Getting from place to place took a long time in the best possible way. Between that and the after parties, I had a blast just talking for 5 days straight. I am so grateful for such an amazing group of people. I loved exchanging ideas, discussing possible partnerships, having candid conversations, and getting incredible feedback on my talk and ideas. I also can’t express how great my coworkers and friends at Crowd Favorite are. It really confirmed that I’m working at the right place, involved in the right community. 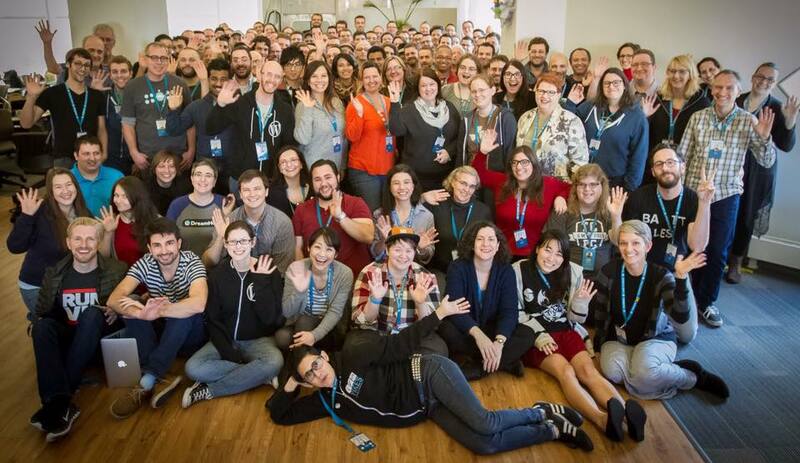 I want to publicly thank the WordCamp US Organizers first. Putting on a conference of this scale is no easy feat, and if there were any hitches, they went unnoticed by the attendees. You guys and gals did an amazing job; congratulations! I’m really looking forward to next year. I also wanted to thank everyone who came out to CigarCamp US. I always get nervous planning events like this, especially when there is such stiff competition! I’m happy to say the event was a success! I especially want to thank WP101 for sponsoring our cigars and our generous drink benefactor. Finally, thanks to everyone who came out to my talk. The feedback was overwhelmingly positive and I can’t wait to give an extended version at WordCamps in 2016. Joe, as always it was great seeing you. See you next year?